Montana senior Jace Henderson was named to the All-Big Sky Conference second team on Monday. BOISE, Idaho — Montana’s Jace Henderson on Monday was named second-team All-Big Sky Conference, the league announced. Montana State’s Claire Lundberg and Oliana Squires were both picked for the third team. Lundberg, a senior transfer from Seton Hall, was also selected Big Sky newcomer of the year. MVP honors went to Idaho’s Mikayla Ferenz, who earlier this season set the league’s all-time scoring record. Henderson, a senior forward from Billings, is the only player in the Big Sky who ranks in the top 20 in the league in scoring (12.0 ppg) and in the top 10 in rebounding (8.6 rpg) and assists (3.8 apg). She also leads the league in shooting percentage at .570. “I’m just so proud of the effort she put in to make herself into a better player,” Lady Griz coach Shannon Schweyen said in a press release. Lundberg, a senior forward, was leading MSU in scoring at 17 points per game before suffering a season-ending ACL injury on Feb. 4. She also hit a team-leading 51 3-pointers. Squires, a junior point guard, averages 11.1 points and 3.9 assists per game. Idaho’s Ferenz ranks second in the league at 22.5 points per game, and is third in 3-pointers with 101. Ferenz ended the regular season with 2,371 career points. 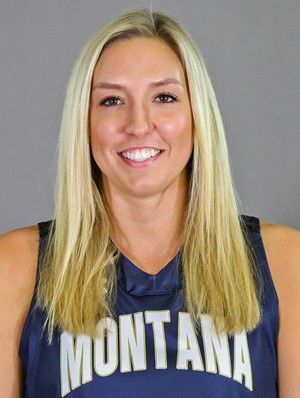 Ferenz is joined on the first team by teammate and fellow guard Taylor Pierce, Northern Colorado guard Savannah Smith, Idaho State forward Grace Kenyon and Portland State guard Sidney Reilly. Gina Marxen of Idaho was named freshman of the year, while Portland State’s Courtney West was selected defensive player of the year. Eastern Washington’s Uriah Howard and PSU’s Desirae Hansen shared top reserve honors. Jon Newlee of top-seeded Idaho was named coach of the year. Henderson is joined on the All-Big Sky second team by EWU guard Violet Kapri Morrow, Sacramento State guard Hannah Friend, PSU guard Ashley Bolston, and ISU guard Saylair Grandon. Honorable mentions included guards Rebecca Cardenas of Southern Utah, Krystal Leger-Walker of Northern Colorado, Kylie Jimenez of Portland State, Estefania Ors of Idaho State, Grace Kirscher of EWU, and forward Kennedy Nicholas of Sacramento State.